One of the biggest difficulties with internal transportation is moving products that are unstable or irregularly shaped. Prone to tumbles off the conveyor system or – more common – getting caught up in transfer devices, these products can cause “traffic jams” on your conveyor systems and slow production to a halt. Thankfully, to address this issue, MCE has added MicroPitch Transfer Modules to their catalog. Designed to replace fixed deadplates, these modules allow your products to be transferred between conveyors smoothly, resulting in an uninterrupted production schedule. As a result, you save on the labor costs associated with rectifying backed up conveyors and, more importantly, you stay on schedule and on budget. 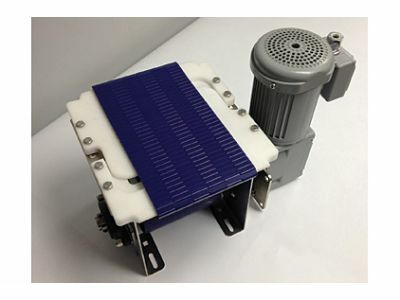 Able to be powered independently to provide precise speed control, several kits are available that allow users to power their MicroPitch Transfer Modules from nearby or adjacent conveyors. This allows the system to be easily integrated into existing production lines, eliminating your reliance on troublesome deadplates and preventing the formation of bottlenecks. Because of this, you can expect a more efficient production line, reduced labor costs and increased output. At Technical Packaging Systems, our team has a wealth of experience and expertise in designing and implementing fully integrated packaging lines. Our products and services offer turnkey solutions to design, training, start-up, optimization and maintenance issues related to your company’s line efficiency. Additionally, we are dedicated to continuing our services after the sale is completed by offering ongoing support and a large catalog of consumable supplies. If you’ve been looking to reduce production bottlenecks and increase the capabilities of your production line, contact us today to discuss the advantages of installing MCE’s MicroPitch Transfer Modules.